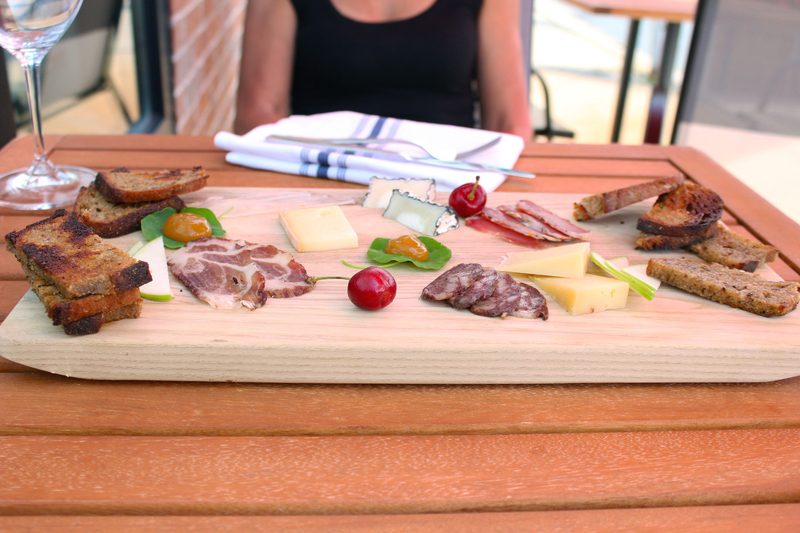 One of Eliot & Vine’s all-time most popular menu items is our charcuterie board, and we can see why. 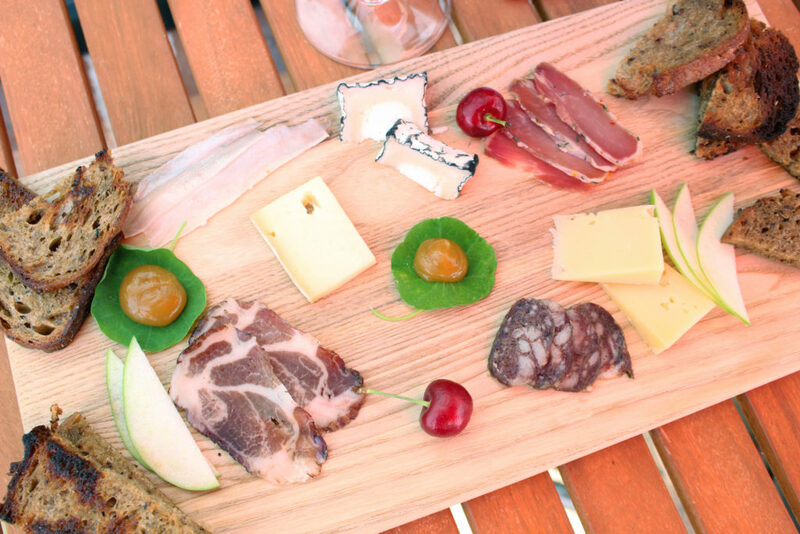 The cheese and meat selected for our board are the perfect start to any dining experience. 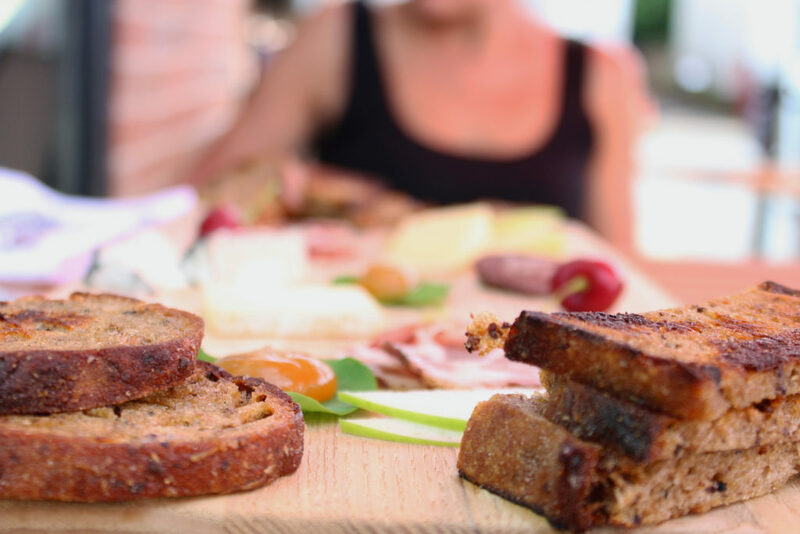 The cheese is sourced from fromageries in Quebec, where some of the best cheeses in Canada (and the world) are produced. – Cendré des Prés: A soft and bloomy rind cheese made with pasteurized cows milk. A line of maple wood ash intersects with the flavours of mushroom, forest and butter. it is soft, creamy and has a mild but lingering taste. – Comtomme: Produced on a family farm with organic milk, this cheese is aged for 60-90 days on wooden boards. This hard cows milk cheese has a smooth texture, with a fruity aroma of apples and butter. – Miranda: This firm cows cheese is produced at the Fritz Kaiser fromagerie in Noyan, BQ. The washed rind is coppery-pink and the interior is a bit crumbly. It has flavours of almonds, straw and a slightly salty taste. As far back as humans have been eating meat, we’ve been curing it. It helps prevent decomposition and the growth of bacteria, but also adds extra spice, flavour and texture. Our house-cured meats are used in other E&V dishes, but to get the full flavour you need to try them each on their own. Pork Lonzo: Lean strips of pork loin which have been salted and dry-cured, it is saltier than prosciutto but similarly pairs well with melon. Pork Lardo: Cut from the fatback of the pig, thin and buttery lardo is often salt-cured and seasoned with herbs and spices like rosemary and thyme. Venison Sausage: Combined with spices like bay leaves and garlic, this thinly sliced venison is flavourful and perfect with bread and cheese. Coppa: A traditional Italian cut of salume, the coppa, or capocollo, uses meat from the pork shoulder and neck and looks similar to prosciutto. The charcuterie also features an apricot & elderflower jelly, which adds sweet, tea-like notes to the mix. Fresh cherries and apple slices add fruity flavour, and it’s all accompanied by homemade sourdough bread, made from locally-sources Good Robot spent grains. And finally, it’s perfect for sharing since it’s made for two. 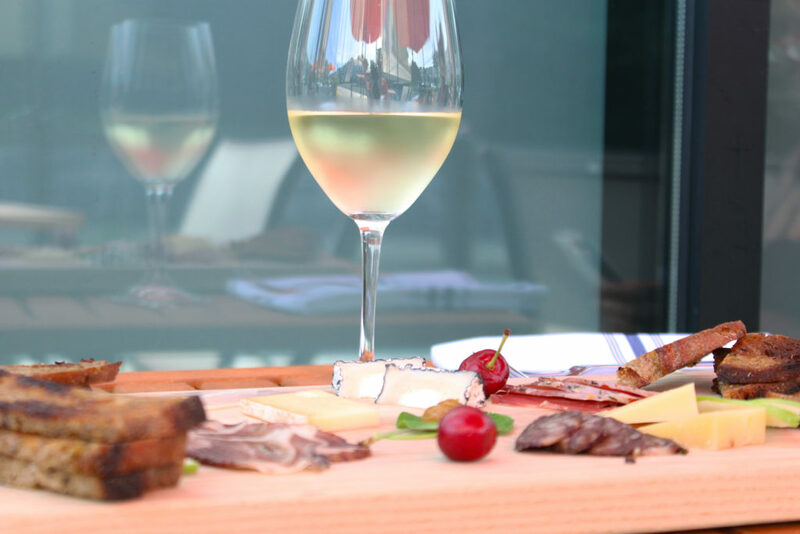 It pairs great with a class of our Baron de Ley wine, which is only $5 during happy hour from 4:30-6pm.